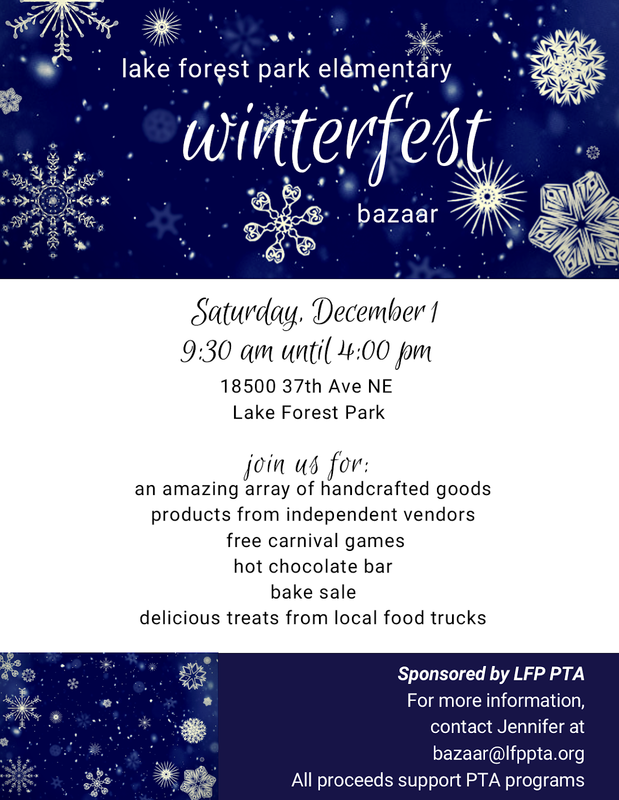 The Lake Forest Park Elementary PTA is holding its annual holiday bazaar - Winterfest - on Saturday, December 1 at the school, 18500 37th Ave NE in Lake Forest Park, 9am to 4pm. There will be handcrafted goods and booth artists and carnival games for the kids. Hot chocolate and delicious treats from local food trucks - as well as a bake sale for something to take home to eat. A family friendly event to help you have fun with your holiday shopping!